Project 3166: B. K. Penney, K. R. Ehresmann, K. J. Jordan, G. Rufo. 2018. 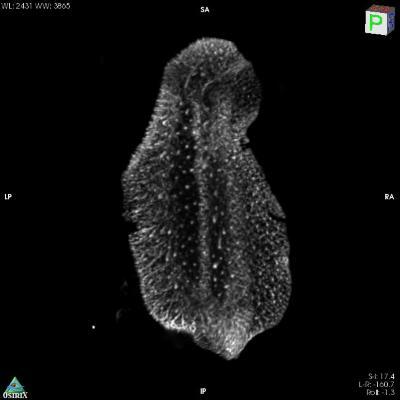 Micro-computed tomography of spicule networks in three genera of dorid sea-slugs (Gastropoda: Nudipleura: Doridina) shows patterns of phylogenetic significance. Acta Zoologica. none yet:none yet.